King Tee, also spelled King T (born Roger McBride), is an American West Coast hip hop pioneer and founding member of the Likwit Crew. His first tracks were produced by The Unknown DJ who also produced Ice T's earliest gangsta rap tracks. He has collaborated with artists such as Dr. Dre, Ice Cube, Rappin' 4-Tay, B-Legit, Ice-T, and Masta Ace. He also worked with other producers such as DJ Pooh, Marley Marl, Ant Banks, E-Swift of Tha Alkaholiks and Madlib. His first tracks were produced by The Unknown DJ who also produced Ice T's earliest gangsta rap tracks. He has collaborated with artists such as Dr. Dre, Ice Cube, Rappin' 4-Tay, B-Legit, Ice-T, and Masta Ace. He also worked with other producers such as DJ Pooh, Marley Marl, Ant Banks, E-Swift of Tha Alkaholiks and Madlib. Although he helped launch the career of Tha Alkaholiks, who became popular in their own right, Tee's own career didn't fare quite so well. His highest charting album, Tha Triflin' Album, peaked at #95 on the Billboard 200 while his other albums scraped the bottom of the chart. Dr. Dre tried to help revitalize Tee's career by signing him to Aftermath Records. He appeared on Dre's albums, Dr. Dre Presents...The Aftermath and 2001, and recorded his own album. But Tee was eventually dropped from the label. Nevertheless, the album he recorded for Aftermath, Thy Kingdom Come was released in 2002 on a German independent label. It featured guest appearances by Dre, Ice T, Too $hort, MC Ren, DJ Quik, Kool G Rap, Shaquille O'Neal, Kid Frost, El DeBarge, and others. Those that have followed gangster rap since its roots will credit King Tee with being one of the leading founders helping gangster rap build credibility and eventually helping to open doors for some of today's biggest names in hip-hop. 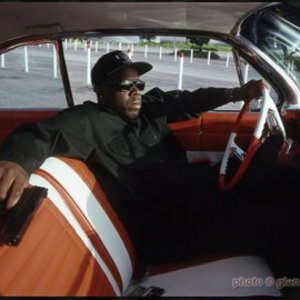 He is also cited as being one of the biggest inspirations for popular East Coast rapper The Notorious B.I.G., whose early style bore a striking resemblance to that of King T.